I hate the selection here. 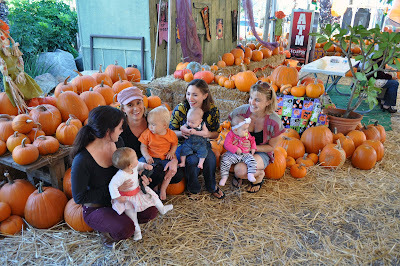 Photos from our recent trip to the pumpkin patch with Mila and her little friends. All managed to be a pleasant mood mostly, except for a few whines here and there (see middle photo). But a good time was had by all. 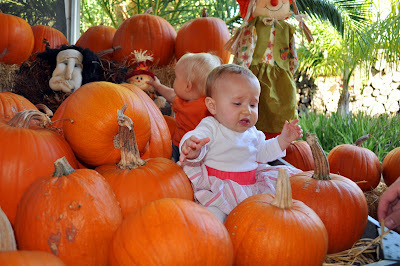 I just love fall! Eep-I can't stand all the cute! 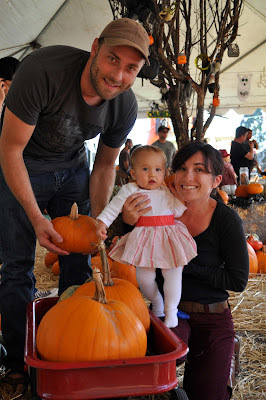 Mila really is the most adorable little bug (and bug is a deeply affectionate term in my family)! How adorable--could she be any cuter in those little tights!!! Love! Oh pumpkin patches are the best! That is a sweet family photo and Mila is so adorable! Love her outfit. So cute! She's getting so big! Such a cute photo of your guys...... Looks like you had a lot of fun. Precious. I need to do this with Levi before time runs out. Eeek! So precious, Alexa!! Love these photos!